“Samra Kesinovic, Sabina Selimovic: How Islamic State recruits teenagers,” News.com.au, November 28, 2015, http://www.news.com.au/world/middle-east/samra-kesinovic-sabina-selimovic-how-islamic-state-recruits-teenagers/news-story/9a0ab035c6352e2eb93c93b1733bd76e. Prior to his November 2015 arrest, Omerovic had reportedly led a Vienna-based Bosnian terrorist cell through which he had recruited Europeans to join jihadist groups abroad. Omerovic was allegedly responsible for radicalizing Austrian teens Samra Kesinovic, then 17, and Sabina Selimovic, then 15, who joined ISIS in April 2014, becoming worldwide poster girls for the group.David Rogers, “Revealed: Hate preacher terror 'mastermind' who recruited Austrian ‘ISIS poster girls’ sent ‘another 160 to join jihad in Syria and Iraq,’” Daily Mail (London), December 10, 2014, http://www.dailymail.co.uk/news/article-2865316/The-terror-mastermind-recruited-Austrian-ISIS-poster-girls-got-160-join-jihad-Syria-Iraq.html. In November 2015, news reports emerged that one of the girls, Kesinovic, had been beaten to death by ISIS after trying to escape from the group’s stronghold in Raqqa, Syria.Chris Perez, “Austrian jihadi bride beaten to death after trying to escape ISIS: friend,’ New York Post, November 24, 2015, http://nypost.com/2015/11/24/austrian-jihadi-bride-beaten-to-death-after-trying-to-escape-isis-friend/. These two high-profile recruits were among the more than 160 Europeans believed to have joined ISIS after being radicalized by Omerovic, who preached radicalizing messages in local mosques, as well as through his YouTube videos.“Jihadist ‘mastermind’ on trial in Graz,” Local (Vienna), February 22, 2016, http://www.thelocal.at/20160222/jihadist-mastermind-on-trial-in-graz; Gianluca Mezzofiore, “Islamic hate preacher who recruited ISIS poster girls travelled through Europe ‘like a popstar on tour as he brainwashed teenagers,’” Daily Mail (London), February 22, 2016, http://www.dailymail.co.uk/news/article-3458649/Islamic-hate-preacher-recruited-ISIS-poster-girls-travelled-Europe-like-popstar-tour-brainwashed-teenagers.html. At Omerovic’s July 2016 sentencing, an Austrian public prosecutor claimed that he had “brainwashed” dozens of young people into joining ISIS in Syria.“Austria Sentences IS Recruiter to 20-Year Prison Term,” Voice of America, July 14, 2016, http://www.voanews.com/content/austria-sentences-is-recruiter-to-20-year-prison-term/3417847.html. Before his arrest, Omerovic was believed to maintain a direct line of communication with ISIS’s leader, Abu Bakr al-Baghdadi.“Jihadist ‘mastermind’ on trial in Graz,” Local (Vienna), February 22, 2016, http://www.thelocal.at/20160222/jihadist-mastermind-on-trial-in-graz. Omerovic was reportedly is believed to have been deeply connected to other jihadist operations in Europe. According to one Austrian newspaper, there is was “scarcely a single recruit in Europe for jihad in which [Omerovic] and his group were not involved.”“Jihadist ‘mastermind’ on trial in Graz,” Local (Vienna), February 22, 2016, http://www.thelocal.at/20160222/jihadist-mastermind-on-trial-in-graz. Abu Tejma“Profile of a Jihadist: Terror suspect revealed,” Local (Vienna), November 28, 2014, http://www.thelocal.at/20141128/profile-of-a-jihadist-terror-arrestee-revealed. Ebu TajmaJacob Bojesson, “Trial Of Leading ISIS Recruiter Starts In Austria,” Daily Caller, February 22, 2016, http://dailycaller.com/2016/02/22/trial-of-leading-isis-recruiter-starts-in-austria/. Ebu Tejma“Jihadist ‘mastermind’ on trial in Graz,” Local (Vienna), February 22, 2016, http://www.thelocal.at/20160222/jihadist-mastermind-on-trial-in-graz. Mirsad Omerovic, a.k.a. 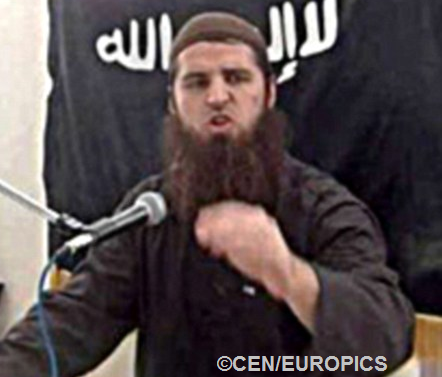 Ebu Tejma, is a convicted Islamic extremist imprisoned in Austria.